Industrial Test Systems, Inc. features an array of Arsenic Quick tests that provide accurate results at affordable prices. Designed using cutting-edge chemistry, our kits report results in as few as 12 minutes and detect from 0.3 ppb. 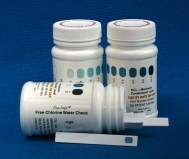 Our patented test kits are used worldwide and recommended by numerous states. 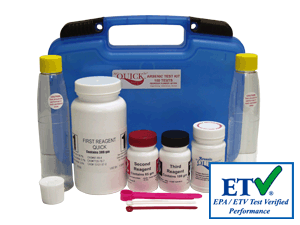 Perfomance and accuracy of these kits have been verifed by the USEPA through the ETV program ( www.epa.gov/etv). These easy-to-use kits require no technical training and are recognized throughout the world as premium inorganic Arsenic field test kits. We invite you to see why the Quick™ line of Arsenic test kits from ITS are recongnized throughout the world as preimum arsenic field test kits. WaterWorks Total Alkalinity is ideal for a variety of industries including: municipalities, wastewater treatment facilities, boiler & cooling tower operations, and other process waters.